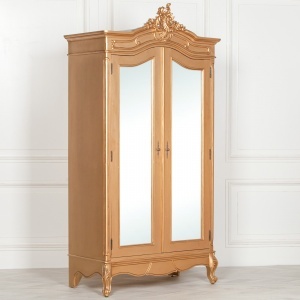 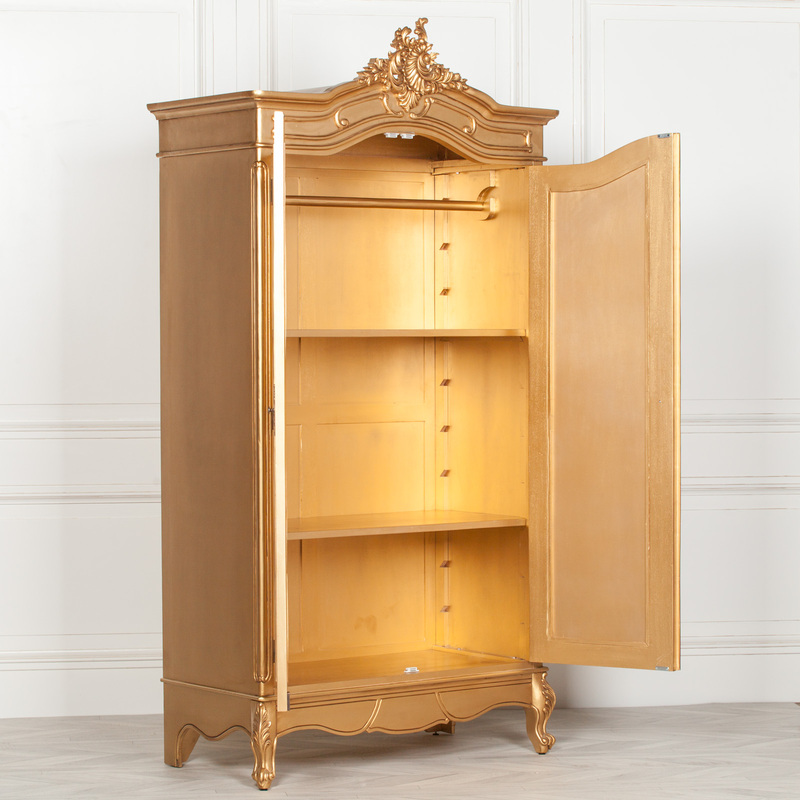 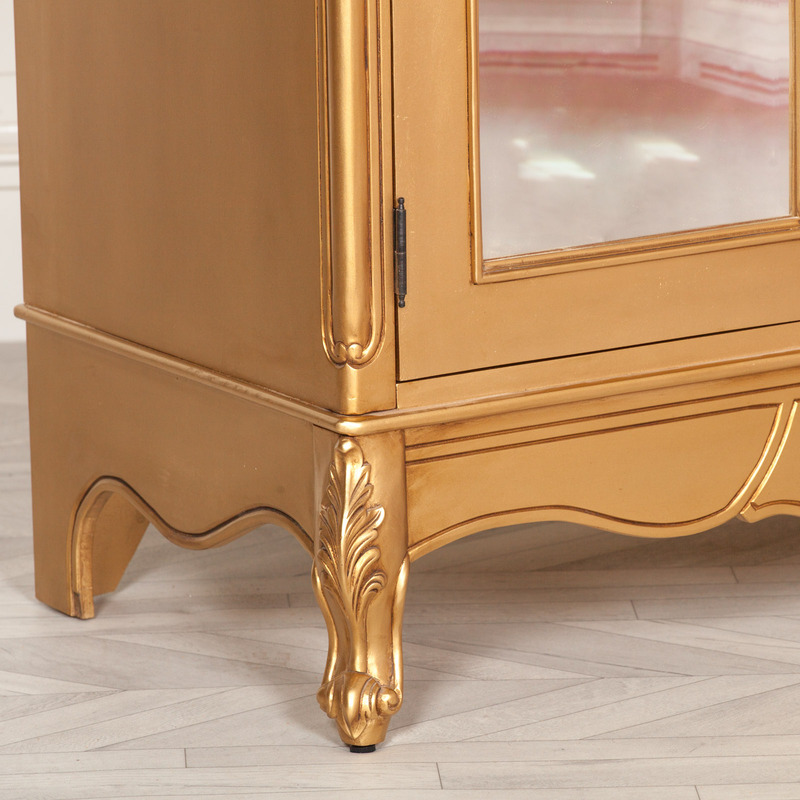 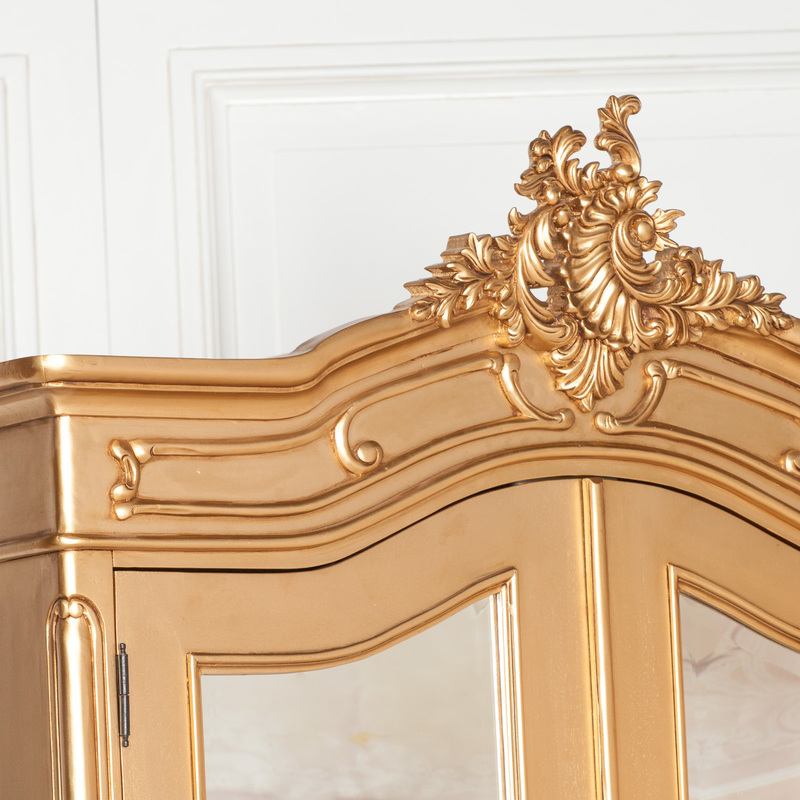 The French Style Carved Gold Double Armoire Wardrobe featured is beautifully hand carved from mahogany, finished in a beautiful gold painted finish. 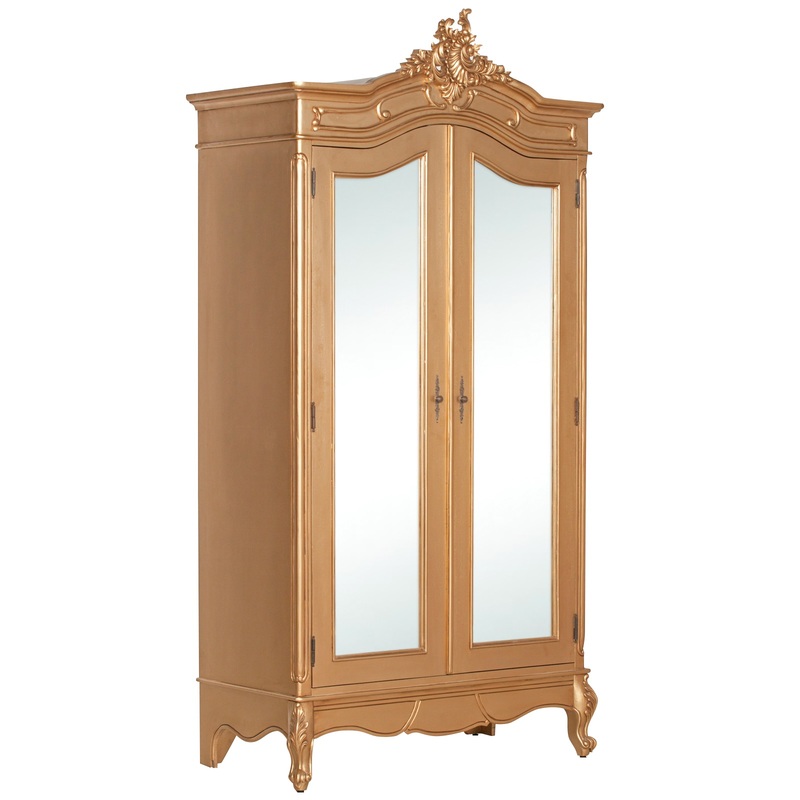 The wardrobe has full length mirror doors with bevelled edged glass. The design features elegance and the upmost quality, the reproduction wardrobe is inspired by original French designs reproduced perfectly to compliment a boudoir or shabby chic feel.